We would choose a lamb roast over a turkey or a ham any day. And we often do… especially on holidays like Thanksgiving, Christmas, or Easter. 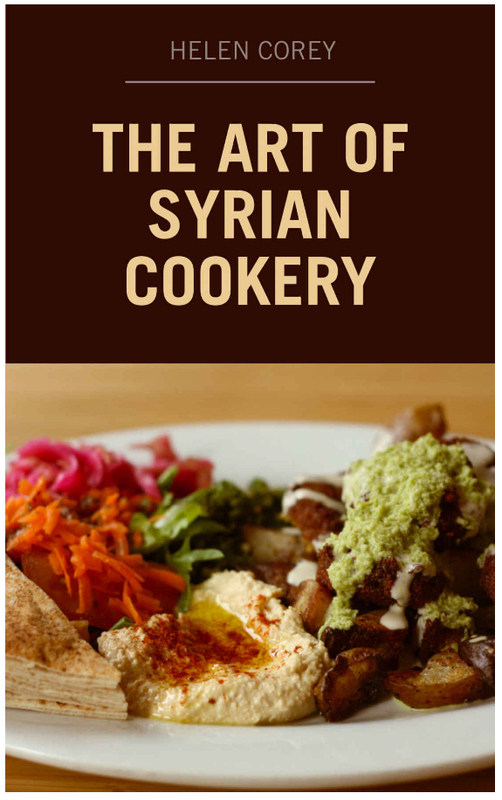 My favorite lamb recipe comes from an old cookbook of my mom's called The Art of Syrian Cookery by Helen Corey (1962). Which I now own myself and I treasure it! 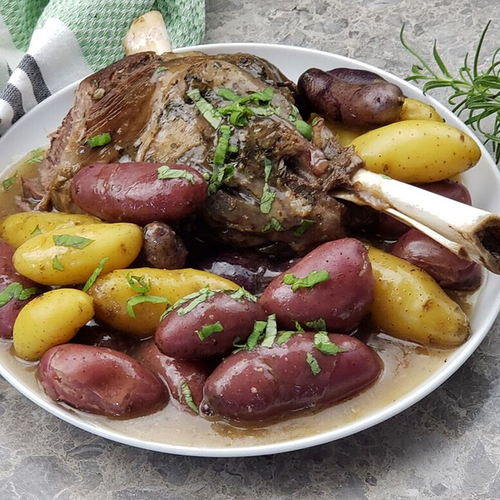 This Instant Pot lamb roast recipe is amazing because of the herbs and garlic rub — it fills up the house while it's roasting and when you take your first bite… wow. Anyway, I took the original recipe and tweaked it to work in the Instant Pot. And I added the cooking of the potatoes in the same pot, too, so they would absorb the wonderful broth, herbs, and spices from the roast. It turned out amazing. More moist. Faster than doing it in the oven. Still the amazing flavors from the herb rub. Mmmm… give me more! 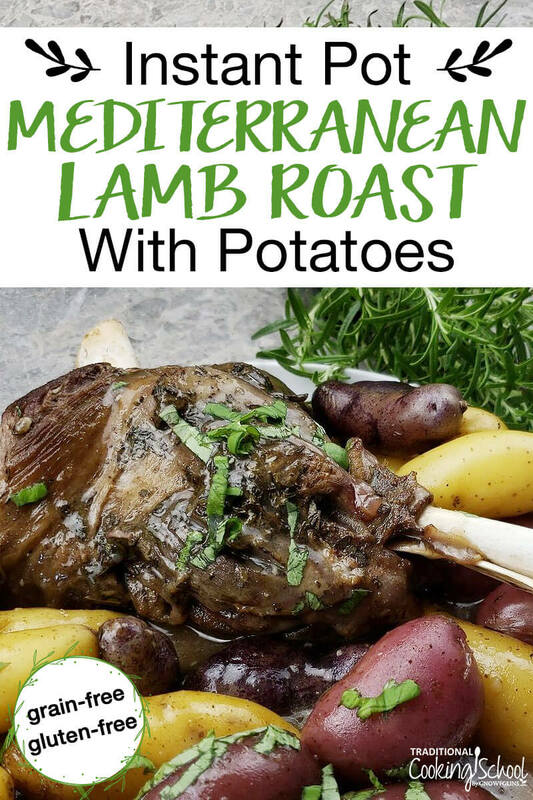 This roast lamb is amazing because of the herbs and garlic rub -- it fills up the house while it's roasting and when you take your first bite... wow. The potatoes even cook in the same pot, so they absorb the wonderful broth, herbs, and spices too! Adapted from The Art of Syrian Cookery by Helen Corey (1962). Serves 4 to 5. Turn electric cooker to sauté, or put stove-top cooker on burner over medium heat. Let it get quite hot. If using an electric cooker, wait until the screen says HOT. Then drizzle in olive oil. Put the roast in, and swirl it around so it can get coated with oil. Lift it off the bottom of the cooker to prevent sticking. Then let it sear on one side, then flip it over to sear on the other side. Then cover the pot, checking the seal and components to make sure all is well. If using an electric cooker, set to high pressure for 50 minutes. If using a stove-top cooker, bring to high pressure and maintain for 45 to 50 minutes. Then, when cooking time is done, place a towel over the venting knob to do a quick pressure release. If using an electric cooker, set to high pressure for 10 minutes. If using a stove-top cooker, bring to high pressure and maintain for 9 to 10 minutes. Then, when cooking time is done, place a towel over the venting knob to do a quick pressure release. Open the lid. Then, using a slotted spoon, transfer the potatoes and roast to a serving platter. Cover to keep warm while you make the gravy out of the broth. Finally, whisk the arrowroot into the 1/3 cup water, then add to the broth in the pot while stirring. It should thicken immediately from the retained heat; you can turn it to sauté if it needs additional heat for thickening. Do you love lamb roast, like we do? Have you ever made an Instant Pot lamb roast? What is your favorite holiday main dish? IP recommends you NOT put a towel over the valve for safety reasons, so I stopped doing it. I LOVE lamb but have always been intimidated to try making it. My mom used to make leg of lamb on Easter with garlic cloves stuffed into the meat. I’m allergic to white potatoes (can’t have any nightshades). Do you think rutabaga would work? Sometimes I use white sweet potatoes, but am afraid they’d be too sweet in this dish. PS – I have your Complete Idiot’s Guide to Fermenting Foods and LOVE it! I’ve recommended it to many people at classes I teach on how to make water kefir. Thank you for sharing your wisdom with us! I would go with turnips,.. rudabagas and parsnips are pretty strong flavors. I also recommend some carrots to balance the “cabbage” flavors with a little sweetness. I wish to substitute Australian Lamb Shoulder for the Leg (goes on sale at the nearby International Market for about $2.49lb which is still expensive for us.). What adjustments should I make? Would I need to brine it first or just lessen the pressure cooking time? A pressure cooker chart I have states to PC a leg of lamb on high for 35 minutes with natural pressure release and a lamb shoulder for 25 minutes NPR. Since you are cooking this for 50 minutes with a quick release (you added on the 15 minutes that it normally takes to release pressure) do I just cook this for 40 minutes on high with a quick release? Thank you! Planning to try this for Christmas dinner. When you say broth, do you mean beef? chicken? vegetable? I made this for Christmas dinner and it was a big hit! Thank you Wardah! Could you make this recipe with a frozen roast? You could. It would need more cooking time. We’re not sure how much more. 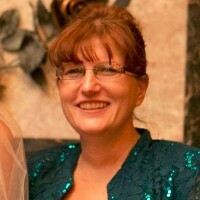 You should look in a pressure cooking book (like Lorna Sass‘) to find out how much to add per pound of frozen. This is my first time ever cooking lamb, other than ground on the stovetop. It turned out amazing, thank you!! I forgot to mention, I’m in ketosis so I did cabbage, carrots, parsnips, red onion, celery, and garlic at the end and added more liquid (my homemade bone broth). I shredded the lamb and ended up with a soup. Delicious. Incredible recipe. Cooked it tonight and it turned out nearly perfect. I think I need to adjust the times for my pressure cooker, but other than that, it was delicious. What degree of doneness does this cook the lamb to? The lamb will end up fully cooked when using the recipe as written. You could decrease the cooking time for a little pink or increase for well done. My pressure cooker doesn’t have pressure and time options, but instead you choose the type of food cooking and adjust from there. Would I choose the meat option and still do the same amount of time? Thanks so much!! That should work fine! Just ensure that you are on high pressure and adjust the time as needed. Thanks for the great recipe! I cooked my potatoes carrots and onion for about 5 minutes instead of 10- it was great. I could only find a 4 1/2 pound boneless leg of lamb or a 6 1/12 pound bone in. I wanted to make sure it could fit in my pot so I went with the 4 1/2 pound boneless. Do I need to adjust the cooking time at all? Also do you pressure cooke it directly in the pot or use the wire rack? The cooking time should be perfect for that size. No need to use the rack. You’ll sear the meat first and then add everything else directly in the pot. What temperature do you aim for when roasting? Wardee looks for an internal temp of 135 degrees Fahrenheit for a little pink. She would say stick with what’s written and check temp/doneness at the point when most people would be adding potatoes. If it’s done, proceed. If not, add a little more time. It should still be a little pink at this point, but we can’t promise. You could also try 5 to 10 minutes less just in case and then test for doneness. You salt and season the lamb after browning it? Just made this Sunday – made the while house smell sooooo good! So tender – best lamb I have ever enjoyed! A double recipe won’t fit in the 6 quart Instant Pot. If you have an 8-quart and 2 roasts will fit below the max fill line (plus the potatoes) you could give it a try. Sear the roasts one at a time. Maybe not add double the amount of potatoes (depending on what fits when it’s time to add them). Be sure to keep everything below the max fill line. Made this today and it was super delicious. Extremely tender, and lots of gravy. I could only find a 3.47 lb lamb roast. What do I need to decrease the time too when cooking in my instant pot? My whole family (5 kids ages 3-15 too) agreed this was delicious! A keeper. I just made a 5.09lb lamb roast without veggies & used total of 70 minutes to make it fall-apart tender. I served the meat w/gravy over riced cauliflower & steamed carrots on the side. I plan to serve this rich main dish (with clean-eating grassfed lamb from Austrailia purchased at Costco) for Christmas as it’s much more affordable than to make grassfed chuck roast or a pasture raised turkey/ham. Hi! I recently bought an Instant Pot and I’ve made lots of wonderful dishes but I’ve been afraid to make any roasts because we live our beef & lamb rare. Can you make bone-in leg of lamb rare? Thanks! Hoping to make this for dinner tonight! I have not tried cooking a rare bone-in leg of lamb in an Instant Pot. You can definitely remove some time (maybe 10 or 15 minutes) from the recipe then adding time as need to get your desired doneness. Do you used fresh or dried spices/herbs? Do you start this roast from room temperature or fridge temperature? I am wondering if the starting temperature would affect the cooking time. Thanks! Did you start this lamb from room temperature or from refrigerator temperature? Will this affect the cooking time? Thank you! I just made this tonight – never cooked lamb before, and second time cooking with a pressure cooker (Instant Pot). It was absolutely perfect! Not too dry nor underdone. I think I added more salt than was called for because we love salt and used about 1 Tbs herbs de Provence in place of all the other herbs. Thank you so much! My family adored it. I’m happy to help! Yes, 30 minutes would be a good starting place. Then, if it’s too pink, you can add more time. I’m going to use a boneless leg of lamb. Should I tie that into shape of the lamb leg. Or should I cook it laid out flat? I made this and it was wonderful. First time I ever cooked a leg of lamb. Did not add potatoes. Took the bone with some meat on it and the broth and made soup with some baby carrots, mushrooms and greens. Took the fat (it was a grass-fed lamb and I didn’t want to waste it) and made hamburgers in it. So good! Thanks!